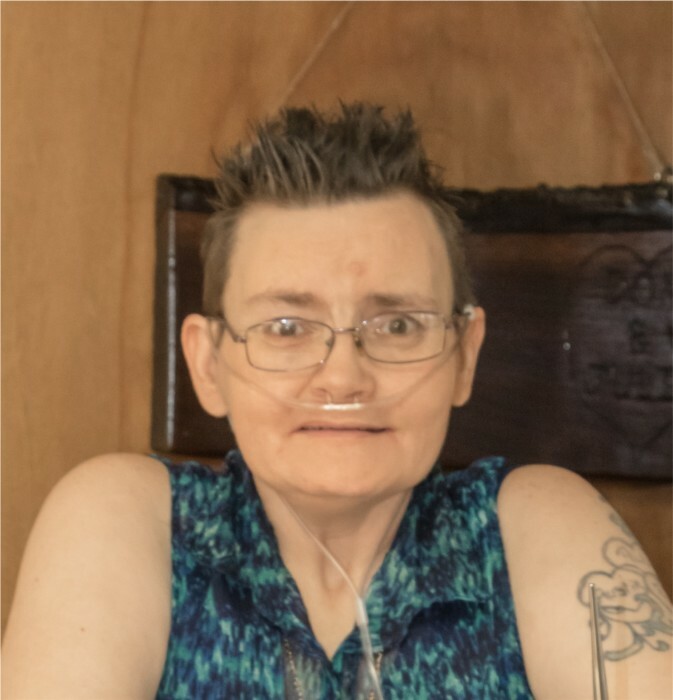 Kathryn (Kathy) A. Kuehner, 47, died Saturday, February 9, 2019 at Lutheran Hospital in Ft. Wayne. Kathy was born on December 3, 1971, daughter of the late Steve Shanks and Penny (Freeman) (Jeff Shaffer) Benedict of Jonesboro. She graduated from Madison-Grant High School in 1991 and had worked at General Tire in Marion and Wendy's in Ft. Wayne, Rally’s, Taco Bell and Kmart. Kathy had attended Light House Tabernacle in Dunkirk and was a member of the Fairmount Civil Defense and Medic 7. She was a huge Dennis Quaid fan and was thrilled to get his autograph at the Gas City Concert in the Park. Kathryn also loved animals and NASCAR. Her favorite driver was Dale Earnhart. Kathy is survived by two children; Alexandria Kuehner, Muncie and William Austin Kuehner, New Castle; two sisters; Julia (Don) Harter, Fairmount and Becky Weber, Jonesboro, along with several nieces and nephews, great niece, Brooklyn Weber and great nephew, Liam Salyer, grandfather, CG Freeman, grandmother, Marie Benedict, aunts, uncles, and her canine companion, Monster. Along with her father, Steve, Kathy was also preceded in death by her grandparents, Jessie and Charles Shanks, Mary Kathryn (Kate) Freeman, brother-in-law Dave Weber, step-father, Andrew Benedict, uncles, David Benedict, Gary Freeman, and Randy Freeman. Arrangements have been entrusted to the Fairmount Chapel of Armes-Hunt Funeral Home and Cremation Services, 415 S. Main Street, Fairmount, Indiana where visitation will be held on Thursday, February 14, 2019 from 11 AM – 2 PM with the funeral service at 2 PM with Pastor Bobby Thomas officiating. Memorial contributions may be made to Marion-Grant County Humane Society in care of the funeral home.